When we first booked our flights to Amsterdam, both my wife and I were sure we were going to see and experience some new things. From the rows of beautiful houseboats and the rows of red-lit windows filled with the working girls in the Red Light District, to the endless line of Amsterdamers on bicycles and the infamous coffeeshops, every corner we turned brought a new experience. One of our favorite ways to enjoy these new experiences is to find authentic, local food. When we started to look at what foods the Dutch were famous for, we came across two things: herring and Indonesian food. Indonesian cuisine was unfamiliar to both of us, something we find increasingly rare, so when we realized neither of us had ever had it before, it was a no brainer. 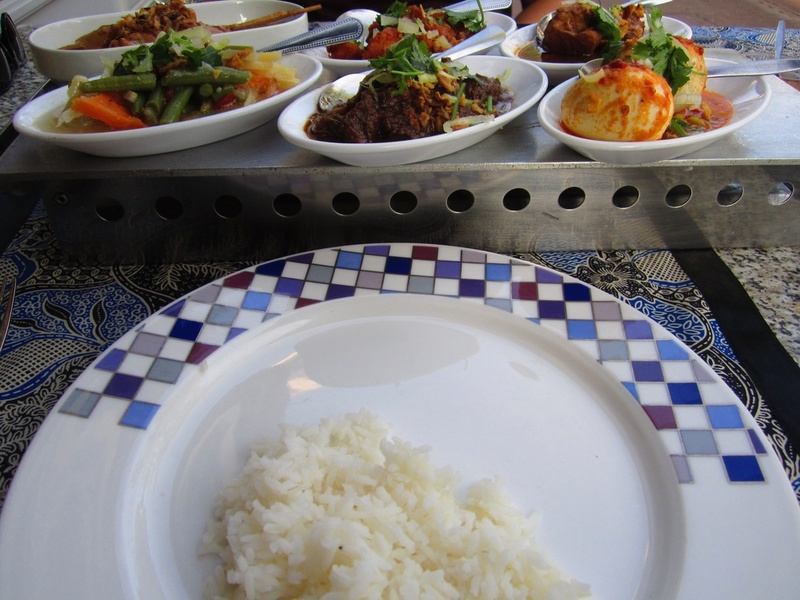 Their local food specialty, the Indonesian rijsttafel or rice table, is a type of smorgasbord. The main ingredient is plain white rice but it is served along side a wide variety of small plates ranging from satays and sambals, to egg rolls, salads and pickled vegetables; each dish different in taste, texture and flavor. There are also dipping sauces/seasonings like toasted coconut, sweet and spicy chili and the best peanut sauce either of us has ever tried. The traditional rice table can have upwards of 60 dishes and sauces allowing diners a chance to try dishes from throughout the Indonesian islands. The one we tried at Restaurant Kartika, just a few blocks from the museum plaza, contained about 18 different dishes, some familiar to us from other cuisines, others completely new, but everything delicious and fresh. 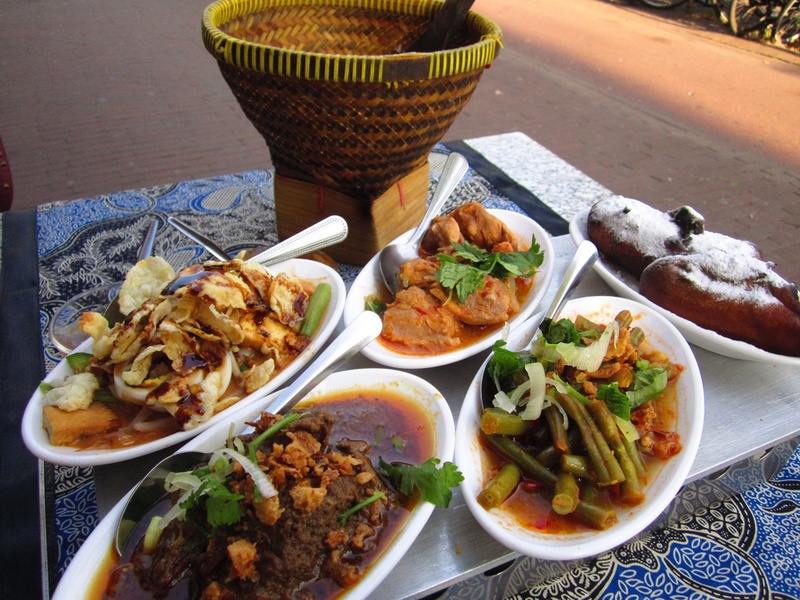 Next time you are looking for something new and unique, give the Indonesian rijsttafel a try, you'll be happy you did. If there is a cuisine near and dear to your heart that you think we should try, please drop us a note in the comments and we will be sure to check it out.